Welcome to 2015! 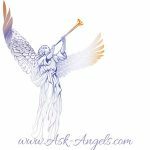 I’m so happy and joyful to be bringing you a message of encouragement and possibility from the beautiful Archangel Ariel. Ariel is known as the angel of abundance, she is full of joy, and motivation, energy and encouragement and really wants to press home that you Can have, be and experience more than you even ‘think’ possible at this moment! I work with Ariel a lot when I am helping students in developing the ability to see and hear in the spiritual realms. Ariel helps people to understand how their spiritual gifts work, and how their gifts can contribute to the ‘what next?’ question; Ariel loves to orchestrate surprises and bring people into contact with the resources, the opportunities and knowing the ‘way’ forward. She is a wonderful angel to work with if you feel you are stuck or you don’t know ‘how’ to take yourself forward. Ariel wants to show you that the blocks you perceive are actually opportunities, and once you start moving the energy around you, those blocks will actually be the reason you tried something new, went to someone different, explored another path way and ultimately realised how easy it is to make progress. I recommend every day asking Archangel Ariel to be with you and to highlight through your intuitive senses where you can expand and have fun doing so. In love, ask Ariel to guide you towards the people, places or situations where you will have the most fun and shine at your brightest. When I help people manifest their soul mate, more often than not it is Ariel that helps organise the practical steps to bring soul mates into alignment. Archangel Ariel can help with career too. At end of 2014 many people were feeling the urge to move on, but didn't see the jobs or the training or the opportunities that they wanted. That was because it was a time of recognition, a time to decide and see what you wanted. Now it is a time to begin to move forward, make the changes to your routine which nourish and put you at your best, so that the job or the training or the chance to be noticed can flow in between now and April. Ariel can also help you revamp your business, attract your ideal clients, find the healer or coach that can help you remove draining patterns and limiting beliefs, and help you have the confidence to ask for and better yet receive and believe everything that she and Source see you deserve. Ariel wants everyone reading this to understand this message is for you. If last year you felt that doors were shut, relationships reached breaking point, and you couldn't make progress no matter what you tried, that was because you were having to explore what accepting responsibility meant. 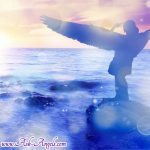 Surrender is a powerful tool, when we surrender and go with the flow we offer no resistance, this is when Ariel and the other angels can help you receive the ideas and the inspiration which will allow doorways to swing open – effortlessly. Then it's up to you to act! It's up to you to take responsibility and co-create positive change and blessings in your life. Ariel says now is the time to say ‘yes’ to yourself. Initially you may want someone to do it for you, this is the only obstacle. Now is the time to take action to improve your current situation. Show yourself how important you are. Prove to yourself, the world and to the Universe that you are ready to see and experience positive change by making it so. The angels and the entire universe are all here to support you, and we know you Can do it, because you're reading this! On a final note a wonderful tool that I love to use is an energy expansion exercise where I see my energy filling up with the qualities I wish to receive, whether this be abundance, love, spiritual ability etc. See your energy expanding around you, above you, and below you, see your energy reaching out to all parts of the world, and beyond… Then ask Ariel to orchestrate all of the resources and actions that you need to take, to bring you the best now ever. Ask Ariel to align you with an abundance of joy, love, fun prosperity, and well-being. Click here to learn more about Archangel Ariel. Thank you for the Wonderful Uplifting message! I wish everyone who read this and connect with the ANGELS to be FILLED WITH JOY AND LOVE! How will i know when things are happening in my life. Is it a better year for me?